Our range of products include ac tachogenerator. With the support of our experts and sophisticated in-house facilities, we have been able to provide a quality assured array of AC Tachogenerator. This tachogenerator is designed using pristine grade components and advanced technology at our premises. Our offered tachogenerator is used in applications for indication and display purposes. Moreover, offered tachogenerator give you AC Voltage output proportional to speed of its mover. Max Speed : 4000 rpm. Leveraging on our vast industry experience, we are offering a highly reliable array of AC Tachogenerator. 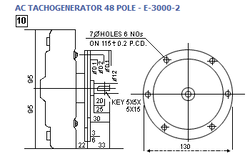 Offered tachogenerator is used in different kinds of machinery to make automation process. 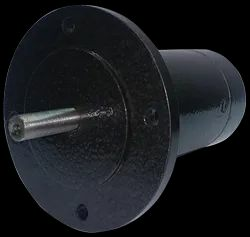 The tachogenerator offered by us is manufactured under the direction of professionals by using best in class material coupled with leading technology. We are giving this tachogenerator at competitive rates in a stipulated time frame.